With so many days in the work week, why not greet each day with a new pair of pearl earrings from Honora? Start Monday off wearing a rich chocolate before easing into champagne, black, grey, and white. 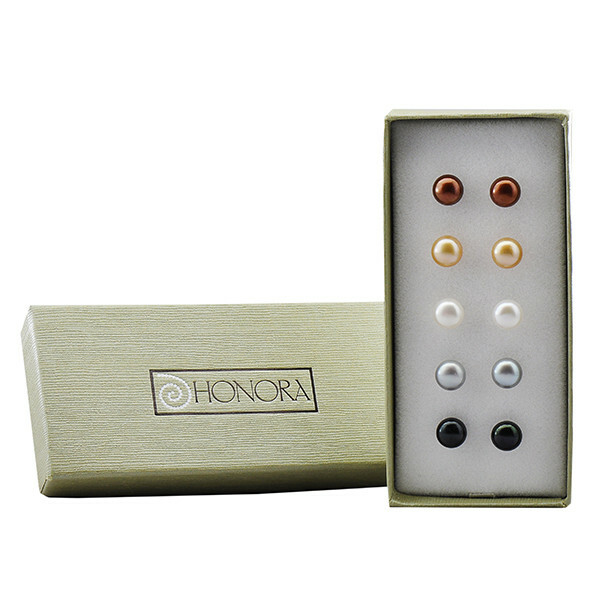 This set of five earrings features the very best button pearls and sterling silver push backs designed by Honora.